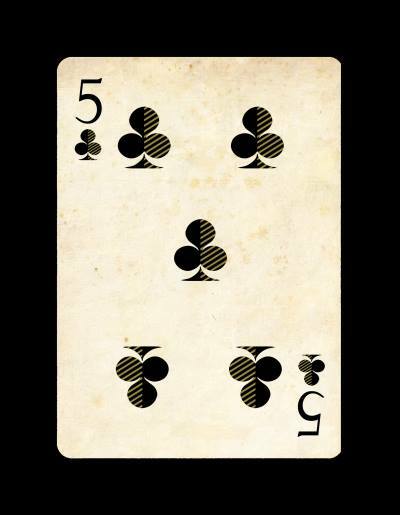 Bicycle Escape Deck – scheduled. 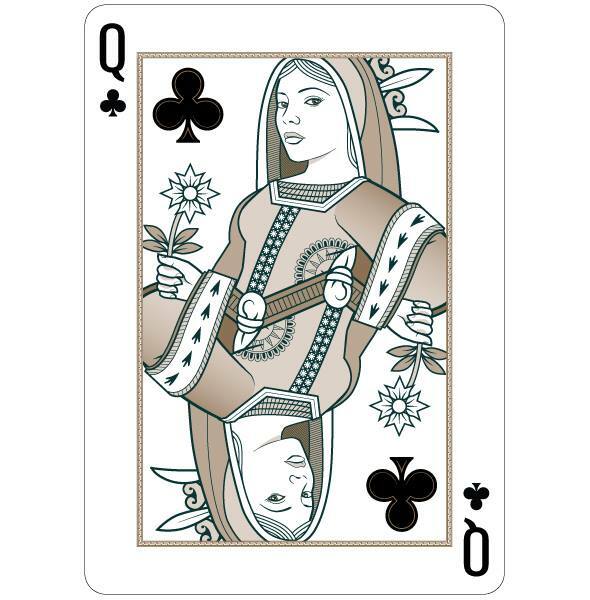 Bicycle Skull Playing Cards, Bicycle Cherub Playing Cards – scheduled. 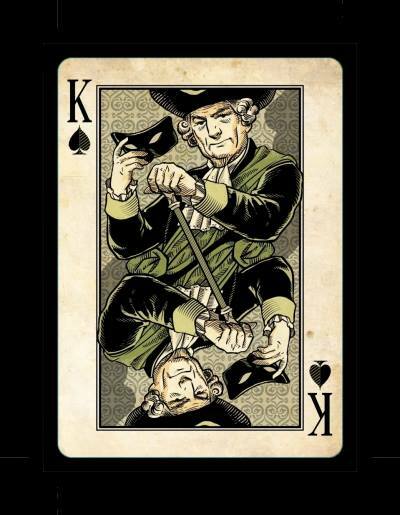 Pr1me Noir Playing Cards – scheduled. Eric Duan’s Butterfly – scheduled. 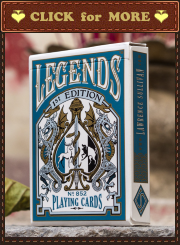 Lee Terbosic Playing Cards: 2nd Ed, Bicycle Karnival Delirium Playing Cards – scheduled. 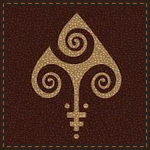 Domo Japanese Playing Cards – scheduled. 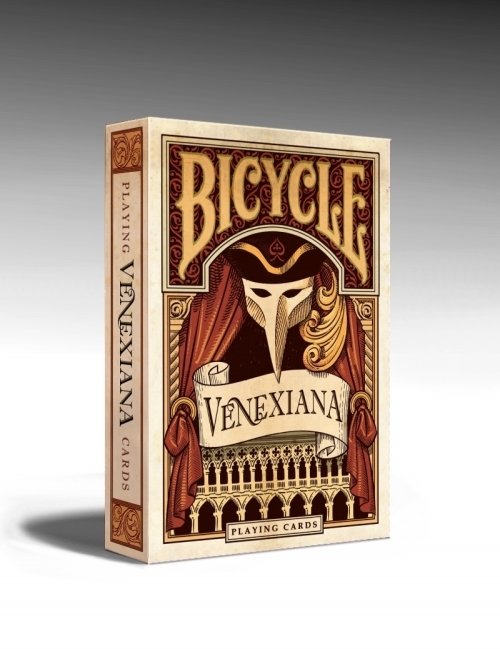 Bicycle Pluma Playing Cards – scheduled. 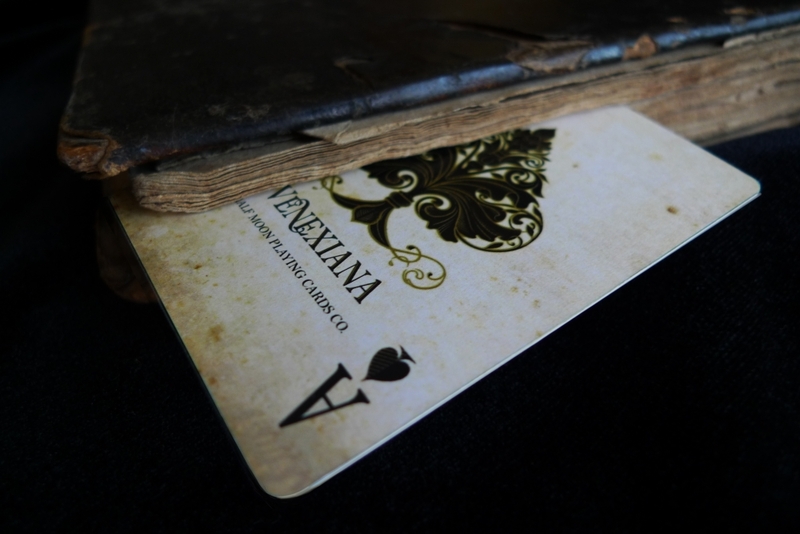 Ritual Premier Playing Cards, The Amazing Deck by Flim Flam Films, The Black Book of Cards – scheduled. 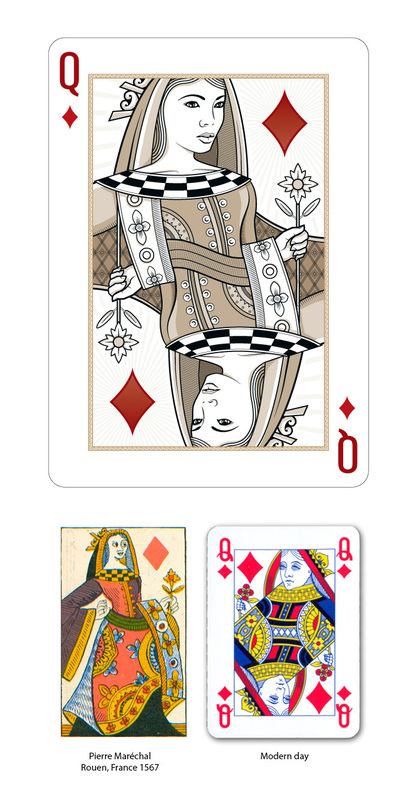 White Aladdin 1001 Playing Cards by The Blue Crown – released. 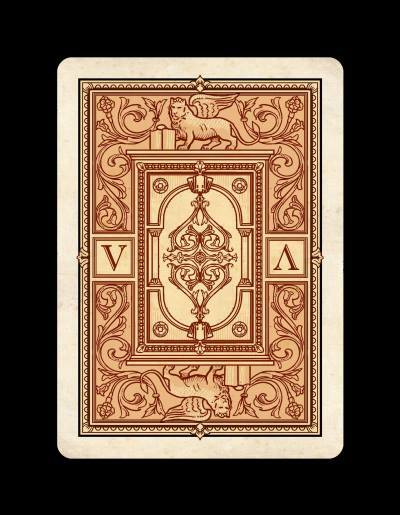 This amazing deck will be dedicated to Venice and its inhabitants. 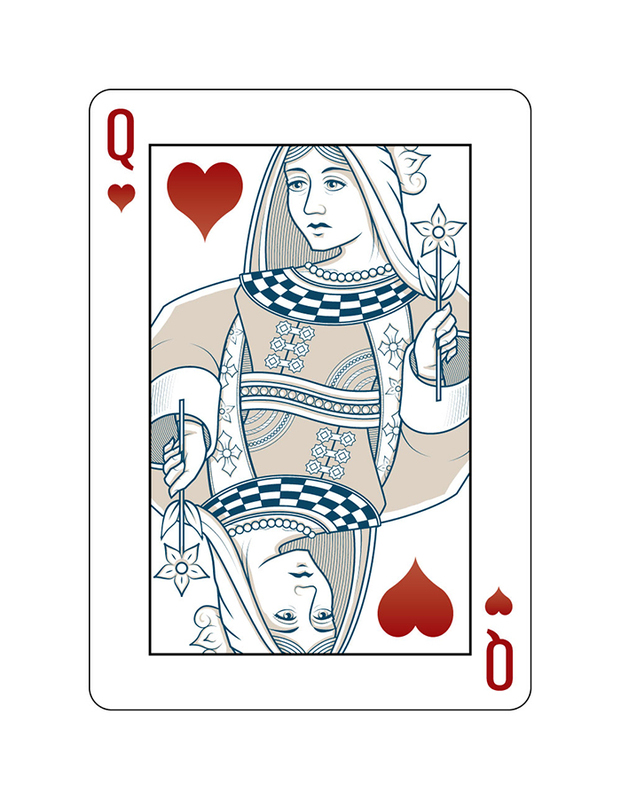 It was designed by Greek artist Lotrek (nickname) who designed Timeless playing cards and Bicycle Butterfly playing cards for RSVP Magic. 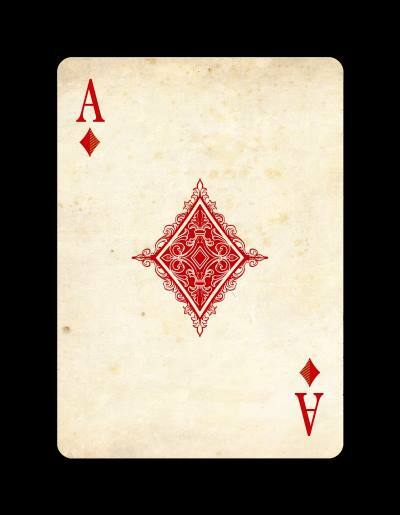 Playing cards are planned to be printed by USPCC and to have a vintage look of their backgrounds. 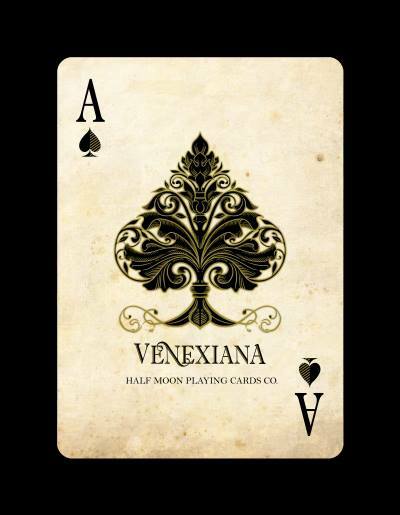 “Venexiana” is the word used in the Venice dialect instead of “Veneziana” – it means “from Venice”. 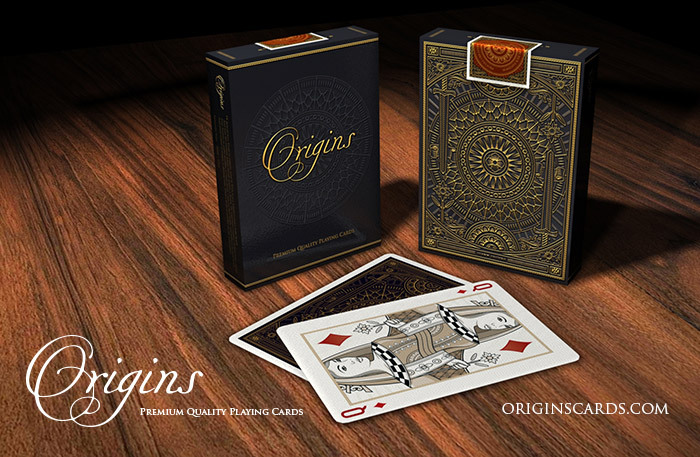 Half Moon laying Cards is a company established by Lotrek to design and produce custom playing cards of high quality. JumpStartCity is a new analogue of Kickstarter with new features (read about it on Technorati). The Kickstarter campaign will launch June 1st, 2013. 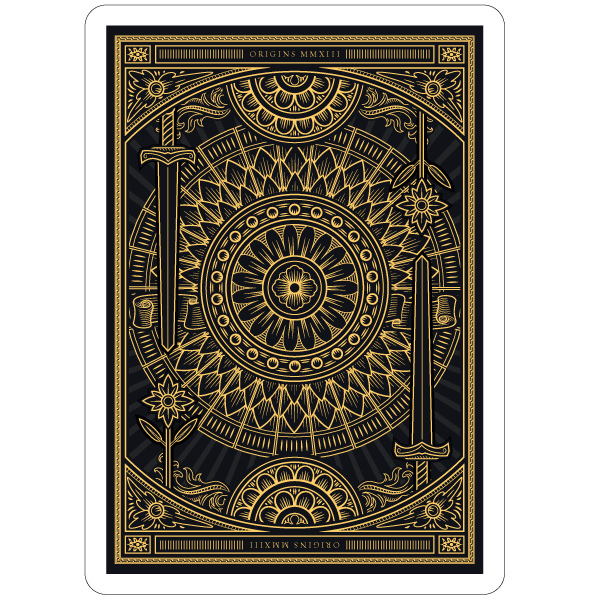 The deck is designed by Mark Stutzman. 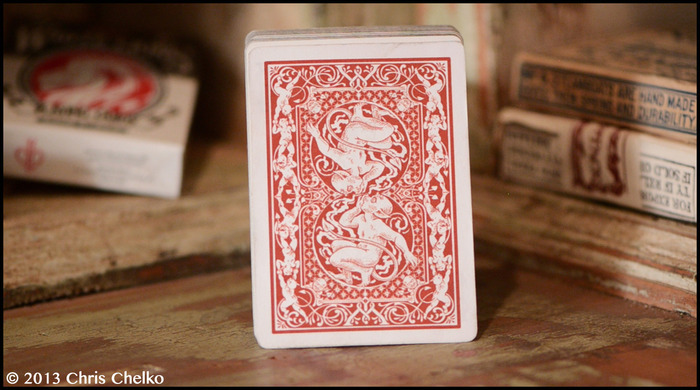 The producer of this deck is Chris Chelko who drew his inspiration from Harry Kellar’s original Imps poster from 1894. 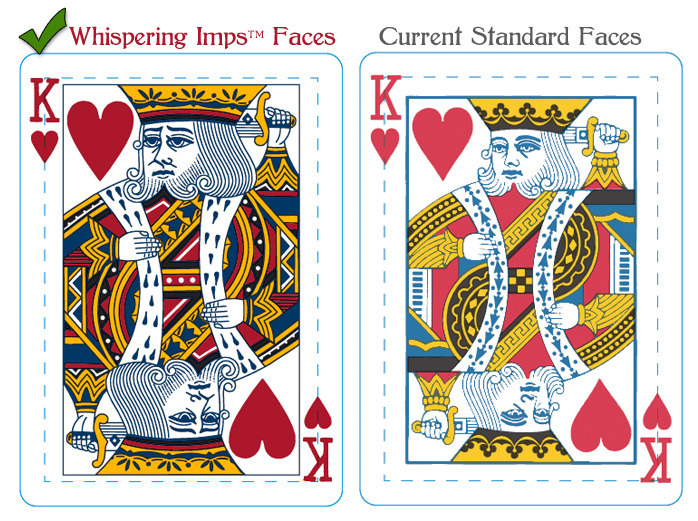 Playing cards are planned to be printed by USPCC. 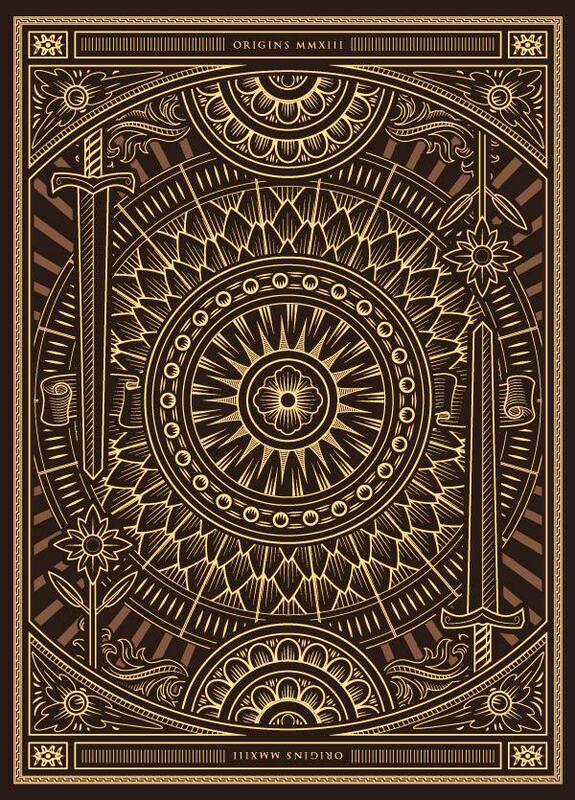 The deck: a back design, a tuck case, The Ace of Spades and Jokers will be custom. Court cards will be standard but vintage (see the picture). 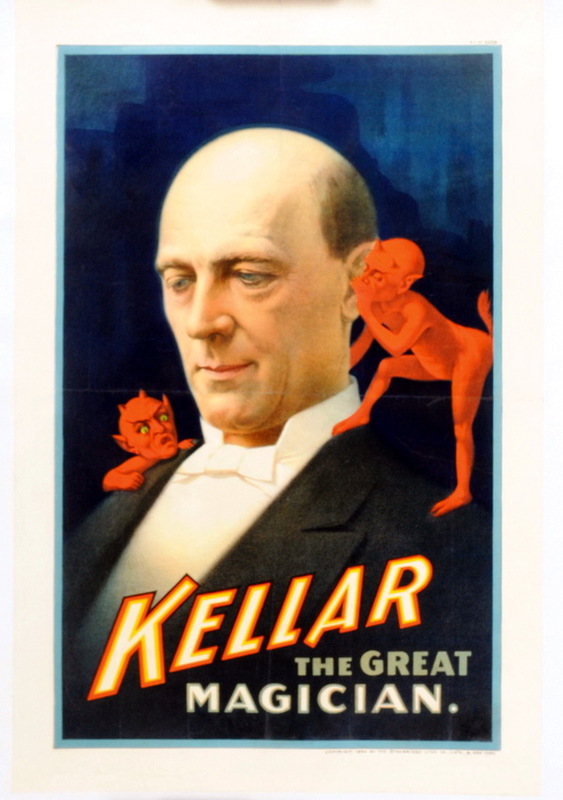 Harry Kellar was an American magician who presented large stage shows during the late 19th and early 20th centuries. He was a predecessor of Harry Houdini and a successor of Robert Heller. 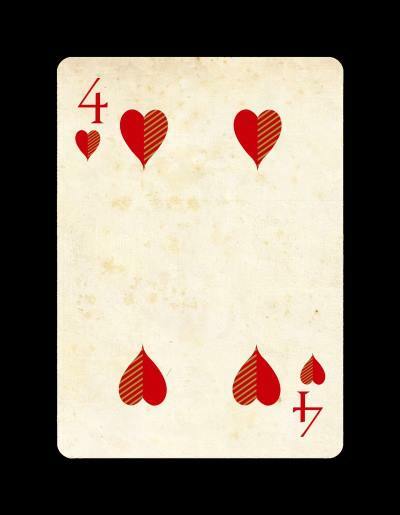 The planned release date of this deck – July, 2013. 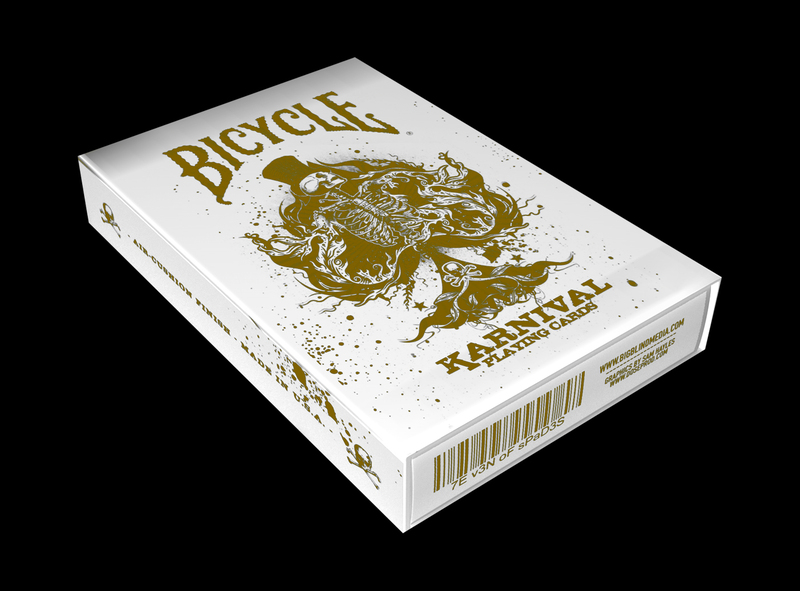 Big Blind Media decided to reprint its classic Bicycle Karnival playing cards in Gold Edition. 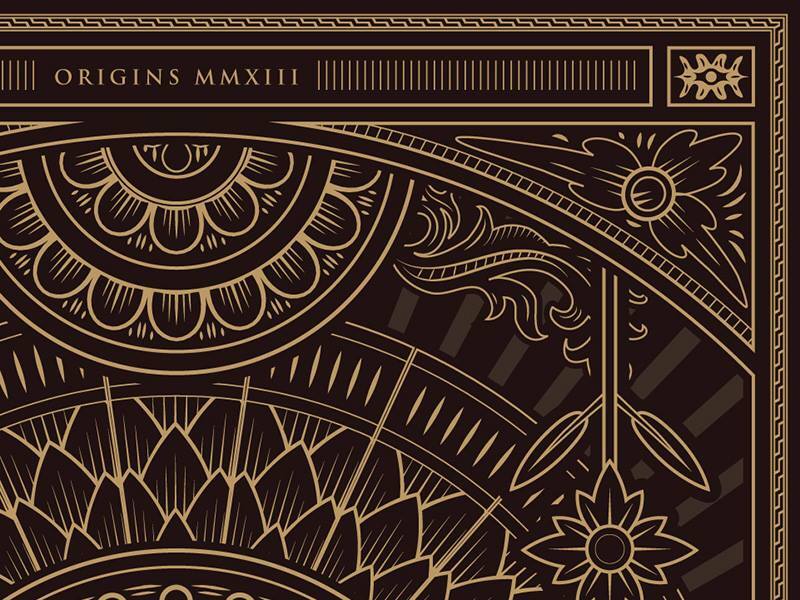 The deck will be printed by USPCC and limited to only 4000 units. The design by Sam Hayles. 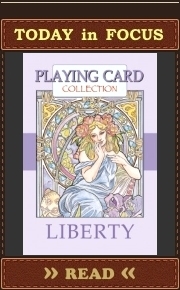 The planned release date of this deck is not until early July, 2013. 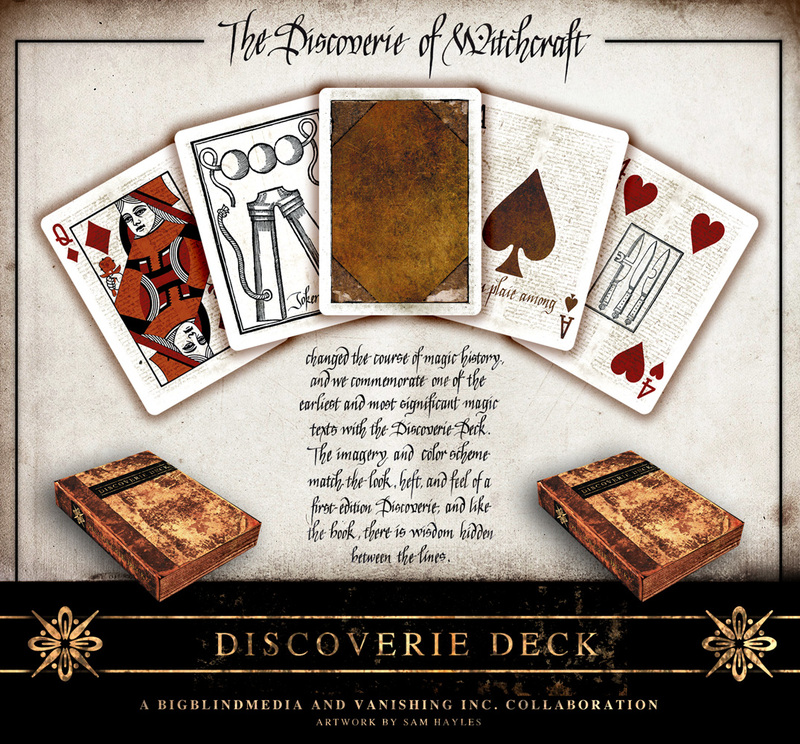 This deck is designed in the style of a rare first edition ‘Discoverie Of Witchcraft’ book (from 1584) in conjunction with Vanishing Inc. 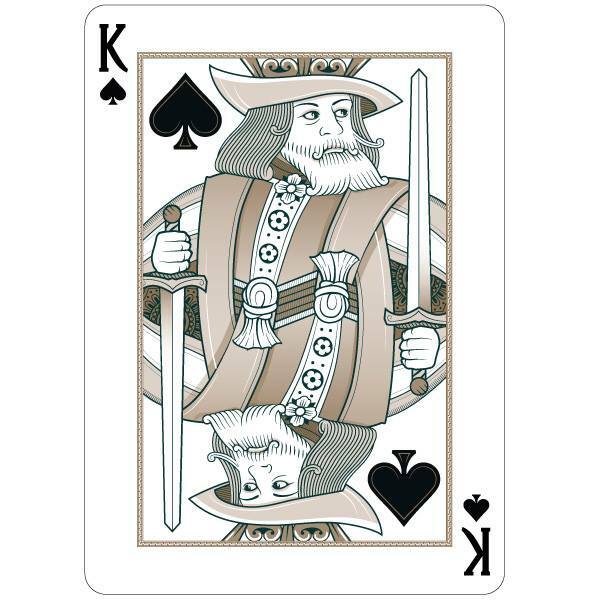 Intricate woodcuts from the book are featured on the faces of the cards and the Aces are adorned with a passage from the book, written in an elegant calligraphic style of the day. The tuck case acts as “covers” to protect the “pages” of cards within. 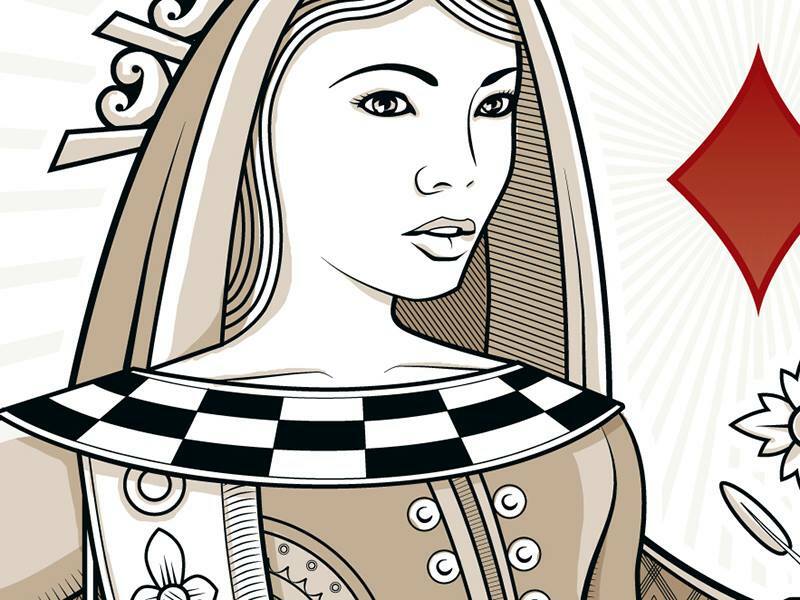 The deck will be printed by USPCC and limited to only 5000 units. The Discoverie of Witchcraft was a partially skeptical book published by the English gentleman Reginald Scot in 1584, which was intended as an exposé of medieval witchcraft. It contains a small section intended to show how the public was fooled by charlatans, which is considered the first published material on magic. 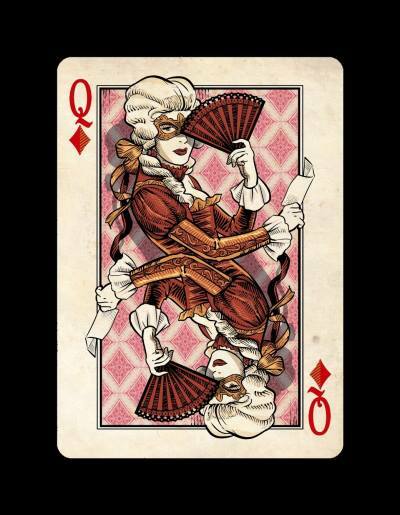 This is a new playing card project with an idea to fuse modern day standards with the detail and elegance of the 16th century originals. 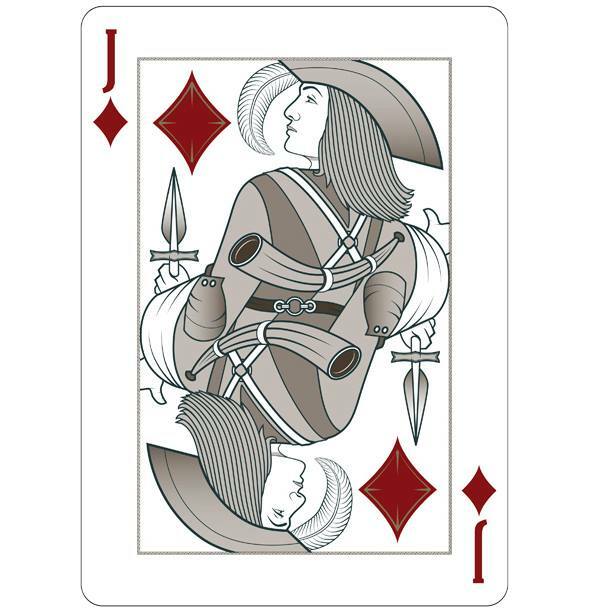 It is declared that the creator of this project was inspired by the art of French artist Pierre Maréchal who illustrated a beautiful set of playing cards in 1567. 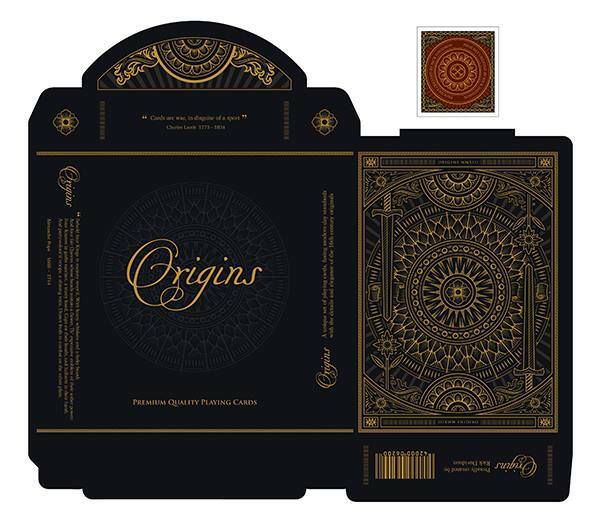 The art of the Origins are currently in development. The artist is Rick Davidson (New Zealand).